Recent reports announcing the era of remote-control contraception herald the very real but slightly horrifying prospects for the future for those who believe that man can literally transform himself into a machine. This phenomenon is known as the cult of transhumanism. Technology Review says the wireless implant, if approved for safety and efficacy, could make it possible for a woman to turn her birth control on and off at will by using a remote-control device. The implanted chip contains the chemical levonorgestrel—the same ingredient in Plan B One-Step (emergency contraception). So a woman would literally be able to abort children by remote control. Well, if Darwin’s “survival of the fittest” is accurate, then the majority of women today who succumb to this “remote contraceptive” lure for “family planning” being promoted by MIT will be rendered infertile, thus significantly reducing the number of such women in the future. Have to give Bill Gates “credit” for advancing this creative eugenics pop control agenda—especially for women in Third World countries. And while “chemical” control is bad enough, what happens when someone else gains physical access to the woman’s remote control??? Human traffickers and rejected former lovers rejoice! This valuable insight should give each of us pause. The truth of the matter is that even among Catholic communities, there are growing numbers of men and women—young and old—who have never heard Catholic teaching on contraception, do not understand why the Church defines it as evil, and consistently balk at being told the truth. Catholics like these have no problem with the government mandating taxpayers like you and me to pay for contraception. This is but one reason why it may well come to pass that this latest freaky discovery may grow into something so popular that the negative effects it is destined to have will be noted too late. There are, of course, large kinks to work out before this could become a viable contraceptive method (not including political battles over birth control). A commenter on MIT Technology Review worries about who could potentially control such a device without the woman’s consent. It is a rather scary prospect. The chips would need all sorts of encryption to protect data and keep the device safe from hackers. As technology entwines itself more and more within the fabric of our being—quite literally in this case—we must tread carefully, especially in terms of health. Time will tell whether or not the transition of the human being from human to a combination of human and machine will really overtake mankind. 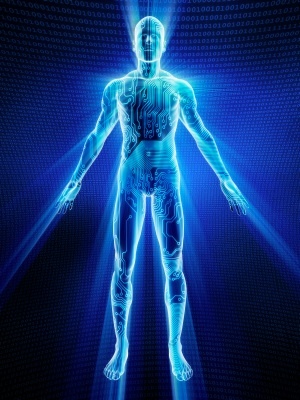 Transhumanism is a powerfully influential planetary “elite” movement that believes man can begin a radical transfiguration of himself by merging his brain with technology with the long term goal of eventually transferring his “essence” out of his decaying body and into a highly advanced robo-machine. And that is absolutely no fantasy! like most hormone based birth control if used over long periods of time it would render the uterus unfit for receiving a child and cause abortion. However several studies have suggested that if used as directed by plan-B it may ‘only’ prevent ovulation and be ineffective at preventing pregnancy if ovulation has occured and sperm is present..